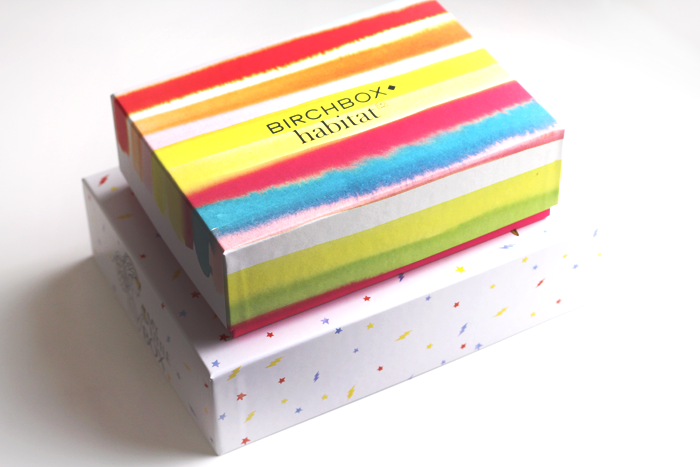 First impressions were really good; when Birchbox get it right they get it very right! There are a couple of things I'll pass on to a friend (the tanning oil and the book chapter sample) but I really like the variety this month. I was pretty happy to see a mini Benefit Roller Lash in there because after reading so many reviews, it became one of those things I really wanted to try but would never buy. I still wouldn't buy a full size but I do think that it's a really nice mascara & it doesn't make my eyes sting like They're Real does. 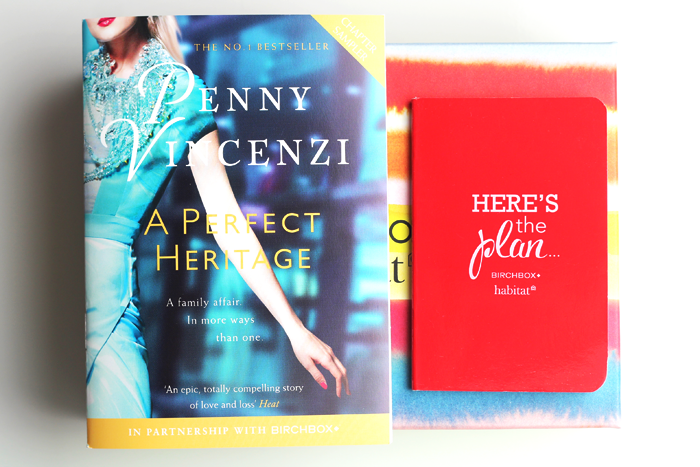 The little red notebook is possibly my favourite thing because I have a real thing for stationery and I don't think there's such a thing as too many notebooks! 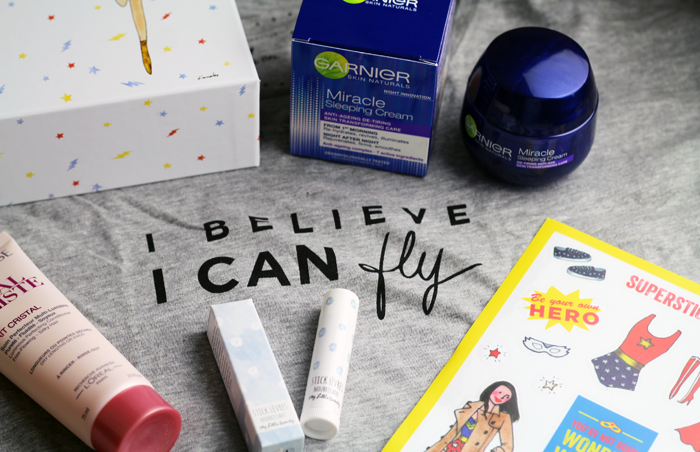 My Little Box always make the best first impressions, and this month my favourite item is the 'I Believe I Can Fly' tee. Yes the song whirls around my head every time I look at it, but I've adopted it as my new 'I'm lazing around the house & want to be comfortable but don't want to wear pyjamas' tee. It's a one size only piece I believe (for size reference I'm about a UK 14 and it fits me pretty well, a little loose but not oversized) and one I imagine won't be totally suitable for everyone, which is the only downside. For me the beauty items are just okay, but I think that's just because I've had the lip balm in a previous box and I would have preferred to try something new. It is a nice balm though, so I'm sort of pleased to have a new one. It smells like milky bar chocolate to me and that can only be a good thing. Like Birchbox I think the variety is really good & my Mum is looking forward to trying the sleeping cream out! 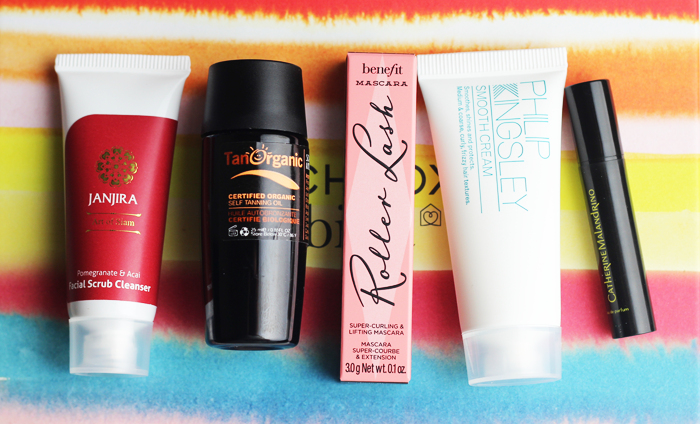 What do you think of this month's Birchbox & My Little Box offerings? could you do a review after trying out the sleeping cream? i'm so interested in sleeping cream nowadays, as before thisi had tried a brand that is quite good on my skin.. 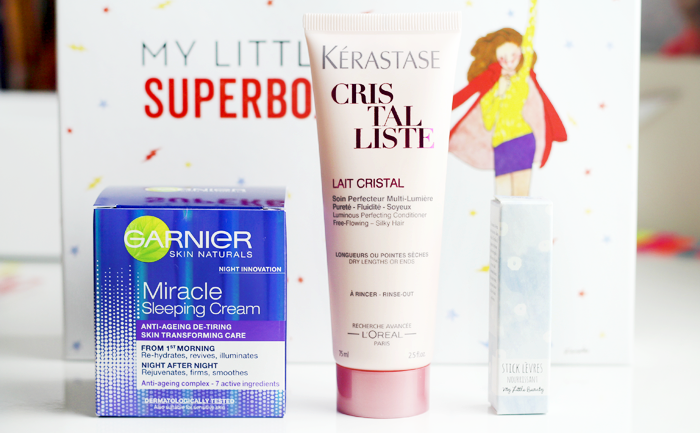 Absolutely - The Sunday Girl has written a really detailed review here: http://www.thesundaygirl.com/2015/03/garnier-miracle-sleeping-cream-review.html & it seems like a really nice product! The little red notebook is so cute and that's definitely a good variety of products in the box. I got a sample of Roller Lash a few weeks ago and was happy to try it out, though I won't buy the full-size either. 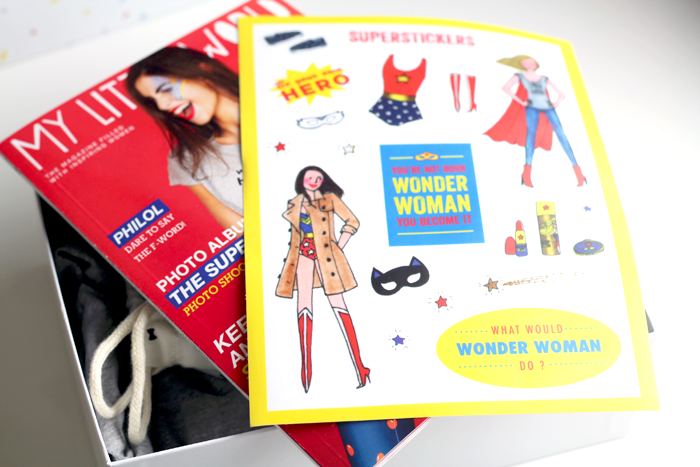 I used to have Glossy box but unsubcribed - that box is so cute though never mind whats in it! I believe I can fly... I believe I can touch the sky, haha! I love My Little Beauty Box, I cannot wait for mine to arrive. Although a size 14 tshirt will be much too small for me! Both these boxes look awesome! I've not subbed to a beauty box since Glossybox ages ago, but I really need to get onto Birchbox as they seem to be going from strength to strength! The My Little Boxes are always awesome. I so wish they would make them available in the United States. I would love to hear how the sleeping cream works.